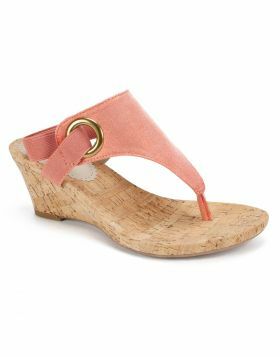 Dress up your summer look with the most sought-after style of the Amarillo thong wedge sandal by White Mountain shoes. 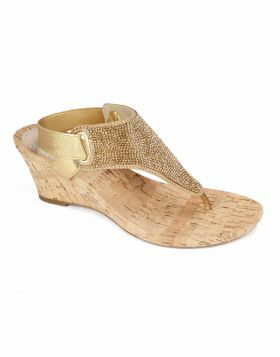 Introducing a metallic silky fabric on top of the lightweight cork wrapped wedge heel with elastic strap at the ankle and heel for a most comfortable fit. 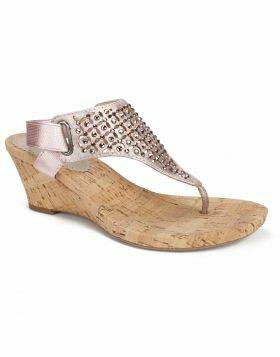 Dress up your summer look with the most sought-after style of the Amarillo thong wedge sandal by White Mountain shoes. 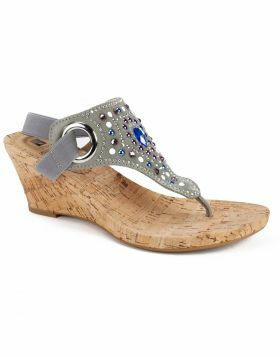 Introducing a metallic silky fabric on top of the lightweight cork wrapped wedge heel with elastic strap at the ankle and heel for a most comfortable fit. Heel height: 2 3/4 inches.